The Rural Housing Service (RHS) provides a number of housing and community facility programs in rural areas. The direct rural housing programs provide subsidy for home ownership, rental housing, home repairs, and rehabilitation. Only one of 16 direct programs is not subsidized. RHS also has two unsubsidized loan guarantee programs. All RHS housing, except Section 514/516 Farm Labor Housing, must be located in rural areas as defined in this guide. The programs are carried out by the Department of Agriculture’s Rural Development staff through a network of local, area, and state offices. Offices can be located through Rural Development’s website. RHS’s funding priorities have gradually shifted from a focus on making direct loans to an emphasis on guaranteeing loans made by private lenders and/or partnering with states and the private sector to make leveraged loans. This change is intended to extend limited federal appropriations. Most applications for the direct single-family housing programs are received, processed, and approved by Rural Development employees, primarily in local offices (previously known as county offices). Local office staff also provide counseling, supervision, and site inspection, in addition to assisting with multifamily applications. Loan servicing is now centralized at an office in St. Louis, Mo. Applications for multifamily assistance are processed in the area or state offices depending on the structure approved in each state. Rural Development staff also serve as field staff for the two other Rural Development agencies – the Rural Utilities Service and the Rural Business-Cooperative Service. Program instructions and applicable forms are available at the Rural Development website at http://rdinit.usda.gov/regs or at Rural Development offices. It is useful to understand the following general information before discussing RHS housing programs. was determined to be rural prior to October 1, 1990 and whose population after the 1990 decennial Census did not exceed 25,000 (this provision may be changed – either to update it when data from the 2000 Census become available or, as proposed in Congress in 2000, to maintain eligibility based on the 1980 Census through 2010). Specifically accepted as rural are Pajero, Calif.; Guadalupe, Ariz.; Plainsview, Texas; and Altus, Okla.
Income Limits. Very low-, low-, and moderate-income families or individuals may be eligible for RHS housing. Funding for new loans is currently limited to very low- and low-income applicants, with the exception of Section 502 guaranteed loans and Section 515 rental projects, for which moderate-income households are also eligible. A family’s adjusted income determines both its eligibility for RHS housing assistance and the level of assistance provided. RHS uses HUD’s determinations of low and very low income levels, which are established by county or by Metropolitan Statistical Area. RHS has a unique definition of moderate income, however; generally moderate income is $5,500 over the area’s low-income ceiling. Income limits are available at http://www.huduser.org/datasets/il.html or from Rural Development offices. “Credit Elsewhere” Conditions. In general, an applicant for an RHS housing loan must be unable to obtain credit elsewhere on reasonable terms and conditions. The restriction does not apply, however, to public housing agencies or to any other public body applicant. This requirement is clearest in the case of home mortgage borrowers. The “credit elsewhere” criterion for Section 515 rental project loans refers to the project sponsor’s ability to obtain credit enabling it to provide housing with rents affordable to eligible households. Housing Types and Costs. Housing or public facilities built under RHS programs must be modest and must meet the minimum standards for the voluntary national model building codes adopted in each state, as well as RHS thermal and site standards. The housing may be located on scattered sites or in a subdivision. Programs for Persons with DisabilitiesTitle V of the Housing and Community Development Act of 1977 and the Americans with Disabilities Act extended the use of RHS programs for elderly people to include persons with disabilities. Regulations for each program specify the benefits for which persons with disabilities are eligible. Provisions of the 1988 Fair Housing Act apply. DemonstrationsRHS/Rural Development will consider applications to demonstrate housing design, systems, financing mechanisms, etc. that do not conform to agency regulations but do adhere to the law. Demonstrations are authorized through the RHS National Office. Administrative Notices describing how to apply for demonstration funding are usually published each fiscal year. Housing LocationRHS has rules covering housing location. The primary regulation is Instruction 1924-C, which contains a site approval process. The agency environmental regulations (Instruction 1940-G) and specific program instructions also regulate housing location within eligible rural areas. AppealsMost adverse decisions may be appealed administratively. USDA has a separate appeal staff that conducts hearings and has the authority to overturn decisions. The appeal staff central office may also review decisions made by hearing officers. The covering regulations are presently in 7 CFR Part 11 and Instruction 1900-B. A separate grievance and appeal procedure (Instruction 1944-L) is maintained for tenants in RHS-financed rental housing, including that for farmworkers. Decisions made in connection with Section 502 guaranteed loans are essentially not appealable. AuthorizationThe RHS housing programs are authorized in Title V of the Housing Act of 1949, as amended. The number cited for each program (502, 504, etc.) refers to the section in Title V.
Targeted AreasRHS annually sets aside a percentage of Section 502 direct, 504 loan and grant, 515, and Rental Assistance funds for areas targeted due to the extent of poverty and deficient housing. These implement the specific percentage set-aside of funds to counties required in Section 509(f) of the law. Specific set-aside information can be found in annual exhibits to Instruction 1940-L. A packaging grant program is operated as a capacity building component of Section 509(f) and is available to 300 counties whose occupied substandard housing is 10 percent or higher and whose poverty rate is 20 percent or more. Where links appear in this list, the guides are available free on HAC’s website. Print copies of any of the guides may be ordered, for the cost of copying and postage, from HAC’s Washington, D.C. office. Homeownership Direct Loan Program (Section 502 Direct) (CFDA 10.410)The Section 502 program has two major parts: direct loans and guaranteed loans. The two share a single CFDA number, but are described separately here. PurposeSection 502 direct mortgage loans enable low- and very low-income households to purchase, build, repair, renovate, or relocate houses, including manufactured homes. These loans are also used to purchase and prepare sites and/or to provide water supplies and sewage disposal for sites. Section 502 loans may be used to refinance debts when necessary to avoid losing a home or when required to make necessary rehabilitation of a house affordable. EligibilityEligible applicants must have very low or low incomes. Adjusted income ceilings are the same as for the HUD Section 8 Housing Choice Voucher program, and are available at http://www.huduser.org/datasets/il.html or from Rural Development or HUD offices. Families must be without adequate housing; able to afford the mortgage payments, taxes and insurance, typically within 22 to 26 percent of their incomes; and unable to obtain credit elsewhere. They must have reasonable credit histories. Priority is provided to families with hardships, including those living in deficient housing; to participants in mutual self-help housing; to servicing loans; and to participation loans. TermsLoans are for terms up to 33 years (38 years for those with incomes below 60 percent of the area median and who cannot afford 33-year terms, or 30 years for manufactured homes). No down payment is required. The promissory note interest rate is set by RHS. Payment assistance subsidy is provided and is directly related to the applicant/borrower’s adjusted income as a percentage of area median income. Families without leveraged loans must pay a minimum of 22, 24, or 26 percent of their income (the percentages depend again on their income as a percent of area median) for principal, interest, taxes, and insurance (PITI) up to an amount not exceeding the promissory note rate. Families with leveraged (participation) loans are not required to meet the 22, 24, or 26 percent of adjusted income conditions. StandardsHousing built under the Section 502 program must be modest. As of March 24, 2003, a modest home is defined as one with a market value below the limit established for its state. The limit for a state can be established by a formula that takes cost into account, or it may be a limit set by the state housing finance agency or by HUD’s Federal Housing Administration for Section 203(b) loan guarantees. Check with a Rural Development office to find the limits applicable in a particular place. Houses constructed, purchased, or rehabilitated must comply with the voluntary national model building code adopted for the state as well as with RHS thermal and site standards. Manufactured housing must be permanently installed and meet the HUD Manufactured Housing Construction and Safety Standards and RHS thermal standards. CommentsRHS is authorized to compensate Section 502 borrowers for construction defects. Variationsi) Deferred Mortgage Payment Demonstration. For very low-income applicants unable to afford payments at 1 percent for 38 years, up to 25 percent of the required payment may be deferred. This option can reduce required incomes by 10 to 20 percent. However, the program has not been re-authorized or funded since FY 1995.
ii) Rural Housing Demonstration Program. This program finances innovative housing that does not meet existing published standards, rules, regulations, or policies, provided that the housing is not constructed contrary to law and does not present an impediment to health or safety. Ten million dollars is available annually for this purpose. RHS issues an annual Notice of Funding Availability, usually in December. iii) Guaranteed Homeownership Loans. The Section 502 guaranteed program is discussed in more detail below. iv) Conditional Commitments. For a fee of $350, which includes appraisal and inspection, builders or manufactured home contractors may receive a commitment by Rural Development to finance a given house, conditioned on sale to a qualified applicant and the availability of funds. v) Homeownership Loan Inventory Program. From time to time, RHS/Rural Development has homes for sale that have been acquired through liquidation of loans. These homes may be purchased with Section 502 credit. Priority is given to those eligible for the program and to applicants for the purchase of these “inventory” homes. When no eligible applicants apply, the homes are available for others. Following price reductions, the homes are again first available only to households eligible for Section 502. ApprovalRural Development local managers have authority to approve most Section 502 loans. Decisions on applications should be made within 30 to 60 days if no backlog exists. Availability of FundsAppropriated funds are apportioned for use by quarter for each fiscal year. After national and designated reserves are deducted, the balance is allocated to states by formula. RHS pools its unused money each fiscal year, usually in mid-summer. The demand for funds normally exceeds supply and RHS may choose to make all unused funds available on a first come, first served basis. Over-subscription in the program has resulted in more restricted, computerized pooling, but eligible applicants with viable applications should request processing even if a local or state office has used its initial allocation. ContactContact a Rural Development office. PurposeLike direct loans, Section 502 guaranteed mortgage loans may be used to purchase, build, repair, renovate, or relocate houses, including manufactured homes; to purchase and prepare sites and/or to provide water supplies and sewage disposal for sites; and in some circumstances to refinance debts. A guaranteed loan is made by a bank or another private lender rather than by RHS/Rural Development, and RHS/Rural Development guarantees repayment if the borrower defaults. Eligibilityi) Borrower. Eligible applicants must have incomes below 115 percent of area median income. Like Section 502 direct borrowers, families must be without adequate housing; able to afford the mortgage payments, taxes and insurance; and unable to obtain credit elsewhere. They must have reasonable credit histories. ii) Lender. Lenders must be approved by RHS/Rural Development. TermsLoans are for terms up to 30 years. The promissory note interest rate is set by the lender. No down payment is required. Currently, the program is limited to unsubsidized loans. The subsidy, when available, provides interest assistance and is based solely on income. StandardsThis program previously used the HUD 203(b) limits to denote “modest,” but had to stop using them due to an adverse legal ruling. For this program, then, a “modest” home is one whose price the applicant/borrower can afford to pay. Like those financed by Section 502 direct loans, houses constructed, purchased, or rehabilitated with Section 502 guaranteed loans must comply with the voluntary national model building code adopted for the state as well as with RHS thermal and site standards. Manufactured housing must be permanently installed and meet the HUD Manufactured Housing Construction and Safety Standards and RHS thermal standards. CommentsBecause of the differences in interest rate and subsidy, the guaranteed program serves a much higher income level than the direct loan program. 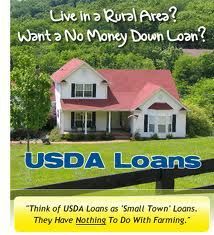 ApprovalRural Development local managers have authority to approve most Section 502 guaranteed loans. Decisions on applications should be made within 30 to 60 days if no backlog exists. PurposeLoans up to $20,000 and grants up to $7,500 (loans and grants can be combined up to $27,500) are provided to very low-income homeowners to repair, improve or modernize their dwellings or to remove health and/or safety hazards, and to make dwellings accessible for household members with disabilities. Eligibilityi) Loans. Eligible homeowner-occupants must have incomes below 50 percent of area median and be unable to obtain affordable credit elsewhere. Applicants must need to make repairs and improvements to make their dwellings more safe and sanitary or to remove health and safety hazards. ii) Grants. Grants are available only to those homeowners 62 years of age or older who cannot repay part or all of Section 504 loans. Grant funds may be used only to pay for repairs and improvements resulting in removal of health and/or safety hazards. If a person can pay part of the cost, a combination grant and loan is made. TermsLoans are for a period of up to 20 years at 1 percent interest. A grant may be recaptured if the property is sold in less than three years. SecurityReal estate mortgages are required for loans of $7,500 or more. Full title services are required for loans of $7,500 or more. StandardsRepaired properties do not need to meet other RHS code requirements, except that installation of water and waste systems and related fixtures must meet local health department requirements. Water supply and sewage disposal systems should normally meet RHS requirements. All work must meet local codes and standards. ApprovalThe Rural Development local office should make a decision on an application within 30 to 60 days if no backlog exists. USDA Loan Eligible Rural Areas in Kentucky Counties including the cities of Bardstown, Ky, Elizabethtown, Shepherdsville, Shelbyville, Frankfort, Burlington, Nicholasville, and Independence Northern Kentucky Have Changed effective October 1, 2013 will no longer be eligible for USDA and Rural Housing Guaranteed Loans or Direct loans!